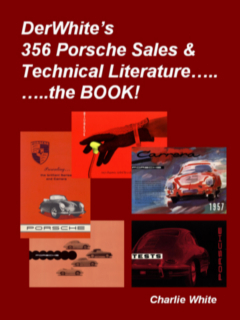 Below is a listing of Porsche 356-B T-5 Factory Accessories as shown in an accessory brochure dated March 1961. All the standard items are included, and there are some others rarely seen. Unfortunately, not all items listed below had photos in the booklet, but most that were included are shown. The accessories in this accessories booklet are slightly different than those shown in the preceding version, and some new items are added! Extended Steering Column (1 3/16 inch). Steel Sun Roof "Golde" Electric, for Detachable Steel Roof. 9103 Chrome Plated Wheels - 5 pieces. 9104 Tires - Conti Radial, 165-15. (Standard on S-90). 9105 Tires - Dunlop, Sp 165-15. (Standard on S-90). 9106 Tires - Michelin X 165-14 (Standard on S-90). 9111 Tires - White Wall Tires, 1 Set, 560 x 15. 9125 Outside Rear-View Mirror, left (Standard for Germany). 9161 Electric Clock in Certer of Dashboard. Euro Version car with KPH Speedometer! 9171 Anti-Theft Gear Shift Lock. 9173 Standard Sun Visor, Left, with Vanity Mirror. 9190 Coco Floor Mats: Red, two pieces. 9191 Coco Floor Mats: Beige, two pieces. 9192 Coco Floor mats: Black, two pieces. 9193 Coco Floor mats: Grey, two pieces. 9194 Coco Floor mats: Blue, two pieces. 9195 Coco Floor mats: Green, two pieces. 9200 Safety Belt, one Seat, Left (Airline Type). 9201 Safety Belt, one Seat, Right (Airline Type). 9202 Safety Belt, one Seat, Left (Shoulder Type). 9203 Safety Belt, one Seat, Right (Shoulder Type). 9210 Extended Steering Column (1 3/16 inch). 9221 80 Ltr. (21 Gal.) fuel tank. 9222 Compensating Spring (Standard with S-90). 9225 4 Shock Absorbers, Koni (Standard with 1600-S, & 1600 S-90). 9228 Additional Heater B2, Eberspacher (Not available when compensating spring is mounted). 9230 Travel Kit for Engine Type 1600. 9231 Travel Kit for Engine Type 1600-S.
9232 Travel Kit for Engine Type 1600 S-90. 9235 Canvas Bag under Front Hood, Red/Black. 9236 Canvas bag under Front Hood, Green/Black. 9240 3-Piece Set of Leather Suitcases with Straps, Black. 9241 3-Piece Set of Leather Suitcases with Straps, Brown. 9242 2-Piece Set of Leather Suitcases with Straps, Black. 9243 2-Piece Set of Leather Suitcases with Straps, Brown. 9246 Elastic Strap for Suitcases in Luggage Space. 9308 Windshield Wiper Motor, interference suppresed. 9310 Blaupunkt, AM/Long Wave (Transistor). 9311 Blaupunkt, AM/Long Wave/Short Wave/Push Button (Transistor). 9312 Blaupunkt, Frankfurt, de Luxe, AM/FM/Long Wave/Push Buttons (Transistor). 9313 Blaupunkt, Frankfurt, de Luxe, (US Version) AM/FM/Long Wave/Push Buttons (Transistor). 9315 Blaupunkt, Koln, de Luxe, AM/FM/Long Wave/Automatic Signal Seeker (Transistor). 9316 Blaupunkt, Koln, de Luxe, (US Version) AM/FM/Long Wave/Automatic Signal Seeker (Transistor). 9331 Becker, Europa, AM/FM/Long Wave/Push Button. 9332 Becker, Europa, AM/FM/Push Buttons (US Version). 9336 Becker, Mexico, AM/FM/Automatic (US Version). Click to see more information about Blaupunit Radios for 356 Porsches! 9401 Special Paint, Synthetic Enamel from Color Chart. 9402 Special Paint, Synthetic Enamel. 9404 Two Tone Paint, Synthetic Enamel, Detatchable Hardtop. Note: Colors may not be accurate due to scanning and age of color chart. 9405 Complete Leather Upholstery for Coupe. 9406 Complete Leather Upholstery for Cabriolet. 9410 Bench Front Seat w/Divided Back Rest & Fittings for Reclining Seats, Leather. 9411 Bench Front Seat w/Divided Back Rest & Fittings for Reclining Seats, Leatherette. 9412 Bench Front Seat w/Divided Back Rest & Fittings for Reclining seats, Leatherette & Corduroy. 9417 Additional Bucket Seat, Leatherette & Corduroy, Left. 9418 Additional Bucket Seat, Leatherette & Corduroy, Right. 9434 Head Rest with FIttings, Leather, Left. 9435 Head Rest with Fittings, Leather, Right. 9440 Fittings for 1 Head Rest, Left. 9441 Fittings for 1 Head Rest, Right. 9450 Additional Soft Top for Cabriolet, Standard Color, Black. 9451 Additional Soft Top for Cabriolet, Standard Color, Beige. 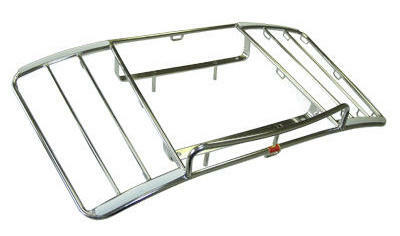 9452 Additional Soft Top for Cabriolet, Standard Color, Grey. 9460 Additional Detatchable Steel Roof, Standard Color. 9470 Steel Sun Roof "Golde", Manually Operated, for Coupe. 9471 Steel Sun Roof "Golde", Electric, for Coupe. 9475 Steel Sun Roof "Golde" Electric, for Detachable Steel Roof. 9490 Chrome Strips for Coupe. 9491 Chrome Strips for Cabriolet. 9492 Chrome Strips for Hardtop. Note: 356 above is a Euro Cabriolet with a Removable Hardtop! Note: The above luggage rack #9510 is the Lietz rack. 9515 Tonneau Cover with Zip Fastener for Cabriolet, Canvas. 9609 Standard Sun Visor, Left, with Vanity Mirror. 9610 Additional Sun Visor, Right, with Vanity Mirror. 9602 Reclining Seat for Roadster, Left. 9603 Reclining Seat for Roadster, Right. 9614 Radio Brackets for Roadster. 9615 Cigarette Lighter for Roadster. 9616 Ashtray Under Dashboard for Roadster. 9618 Foam Rubber Cushion as Seat or Luggage Support for Roadster. 9620 Plastic Suitcase fitting over Tunnel, Black, for Roadster. 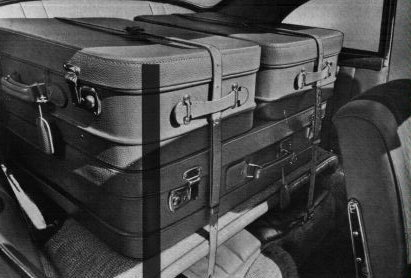 9621 Plastic Suitcase fitting over Tunnel, Brown, for Roadster. 9630 Tonneau Cover, Leatherette, for Roadster. 9632 Cover, Leatherette, for Roadster. Some pictures shown in this website come from earlier accessory brochures or other sources! Source: 356-B T-5 Accessory Catalog, W12/61, 3m 4.61 H Gl.